My self-supporting hobby—as opposed to my money-pit writing hobby—is painting in watercolors. 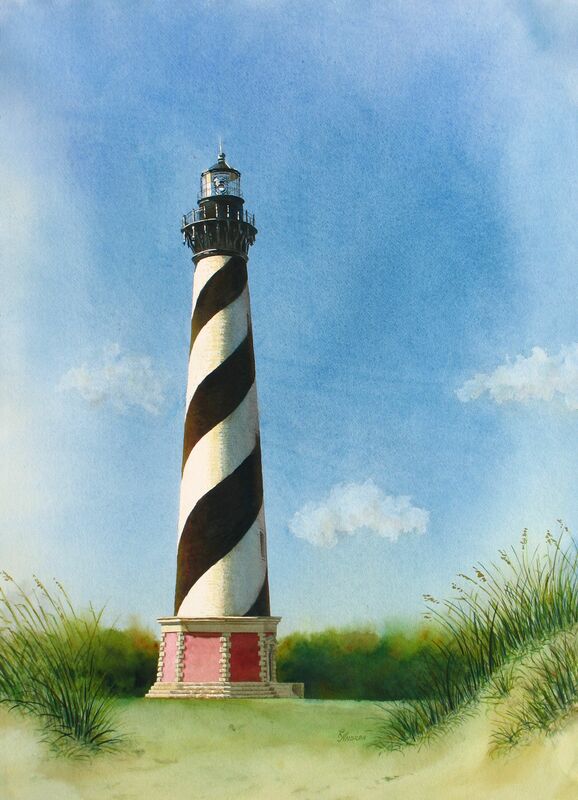 I took up watercolors in 2003, under the tutelage of Susan Hinton, NWS. Since then I have joined the Pikes Peak Watercolor Society, the Virginia Watercolor Society and the Lee Artists Association. I paint with transparent pigments (no white or black) on watercolor paper and canvas. As you can see, my approach reflects my former years of painting oils. I like dramatic contrasts and fully-saturated colors, taking advantage of a few tricks which only watercolor allows. 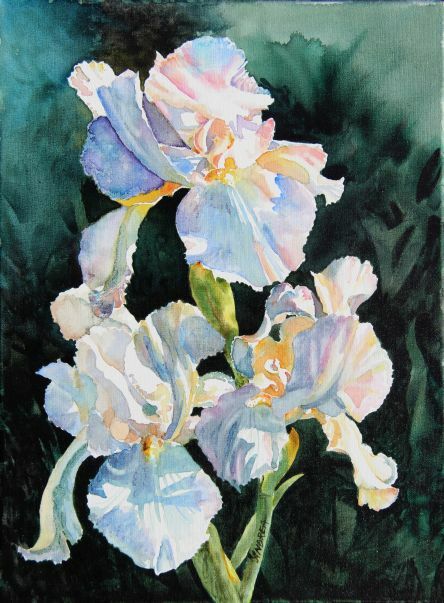 My paintings have been selected for inclusion in the Great Eight Exhibition (Wichita, KS), the Rocky Mountain National (Golden, CO), the Western National (Grand Junction, CO), the International Watermedia (Colorado Springs, CO), several annual Virginia Watercolor Society member shows, and other exhibits in Colorado, Kansas and Virginia. I often exhibit at Windermere Art Gallery in Mechanicsville, Virginia. 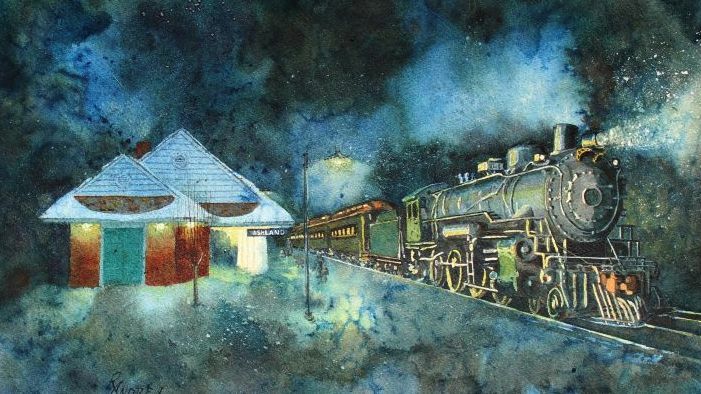 Recently I exhibited a one-man show at Westminster-Canterbury Richmond, a retirement community, and sold four paintings, the most I’ve ever sold at a single event. Thumbnails of those paintings accompany this article. The banners that rotate over the top of this blog are details from my paintings. Other samples of my art may be from at my gallery on Flickr. 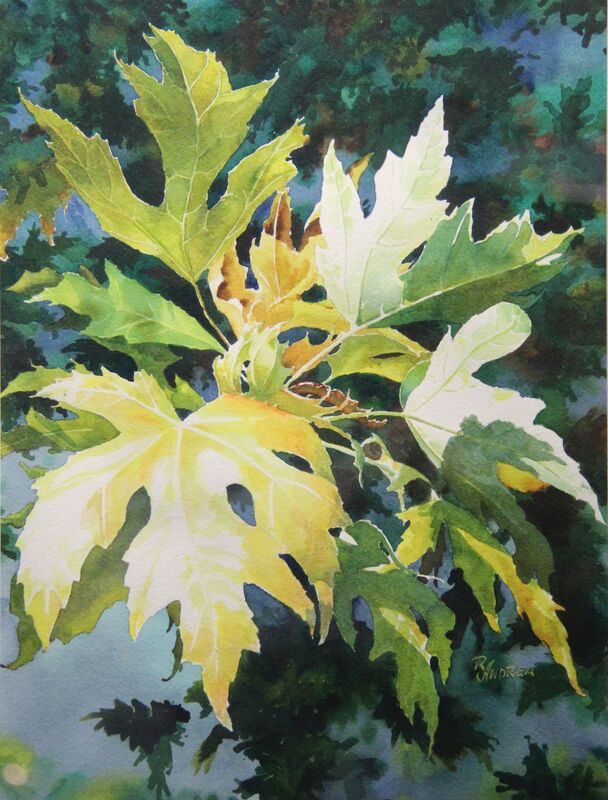 My watercolor “Ashland Winter” (detail at left) was selected Best in Show at Lee Artists Association’s fall show. 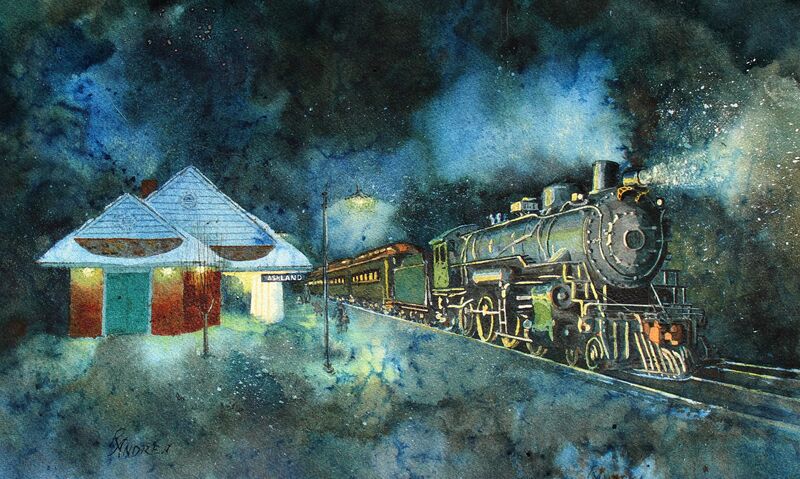 It represents a steam passenger locomotive such as served Ashland, Virginia into the 1950s. Featured also is the 1923 Ashland train station. Ashland is one of the last “railroad towns,” with the AMTRAK and CSX main lines right through the middle of town. Ashland Train Day is Saturday, November 1, 2014. I’m happy that family and friends like my paintings, but it’s nice to have an impartial outside expert select one of them. LAA’s Fall into Art show will be on display at Windemere Art Gallery in Mechanicsville, Virginia through November 15. Come by. Robert Genn died this week. 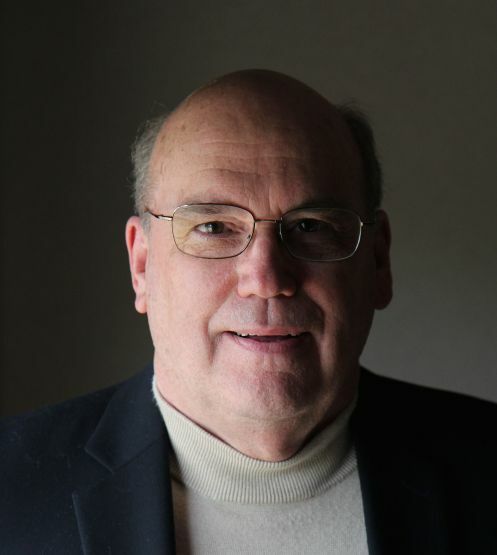 Many never heard of him, but he visited a circle of artists twice each week by an email letter. His postings were both encouragement and instruction, leavened with a fair measure of philosophy. His daughter Sarah plans to continue–has already started to continue the art letters. 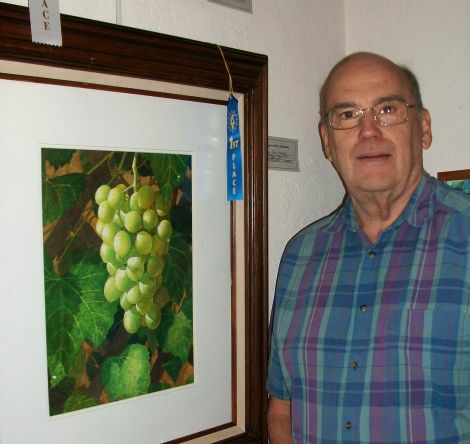 Both of my entries to the Lee Artists Association Spring show at Windemere Art Gallery in Mechanicsville, VA won ribbons. Kim Hall was our judge. 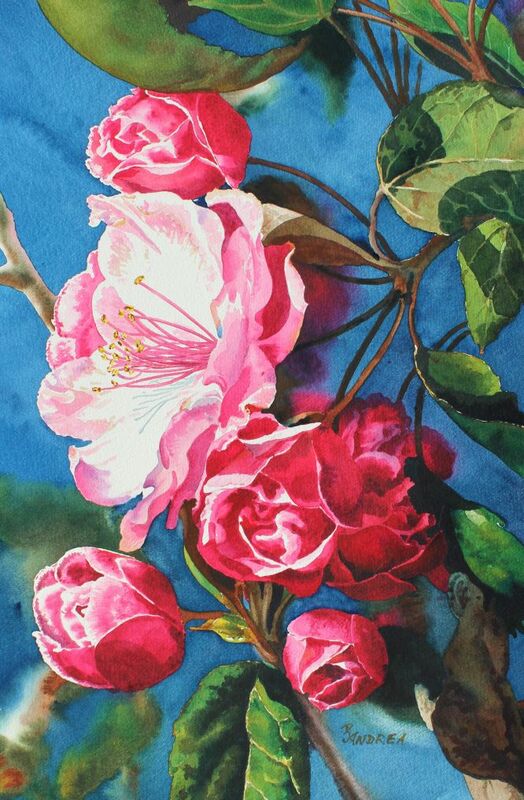 “Crabapple Blossoms” won first among the watercolors. “Fall Barn” won Best of Show. (I only have this out-of-focus image from the show.) I’d better photograph it before it sells.